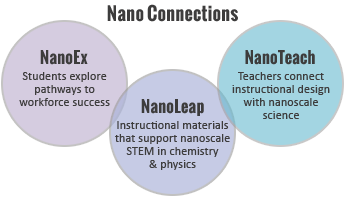 Mid-continent Research for Education and Learning (McREL), a nonprofit education research and development organization, in collaboration with the Stanford Nanofabrication Facility (SNF), Education Northwest, and Biological Sciences Curriculum Study (BSCS) is developing and evaluating NanoExperiences, an out-of-school-time (OST) program that combines academic learning in emerging STEM content with additional supports—setting high expectations, building background knowledge, and motivating students to prepare students for postsecondary learning and credentials leading to participation in the STEM workforce. 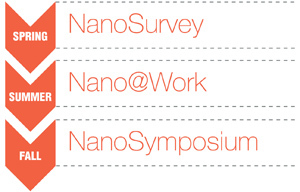 This NSF ITEST project is developing the NanoExperiences model working with Colorado businesses, the Colorado Community College System (CCCS), and the National Nanotechnology Infrastructure Network (NNIN). The result of this project will be a replicable model to facilitate the development of similar programs that connect students to multiple career pathways in NS&T and other emerging STEM areas.